Beep beep! 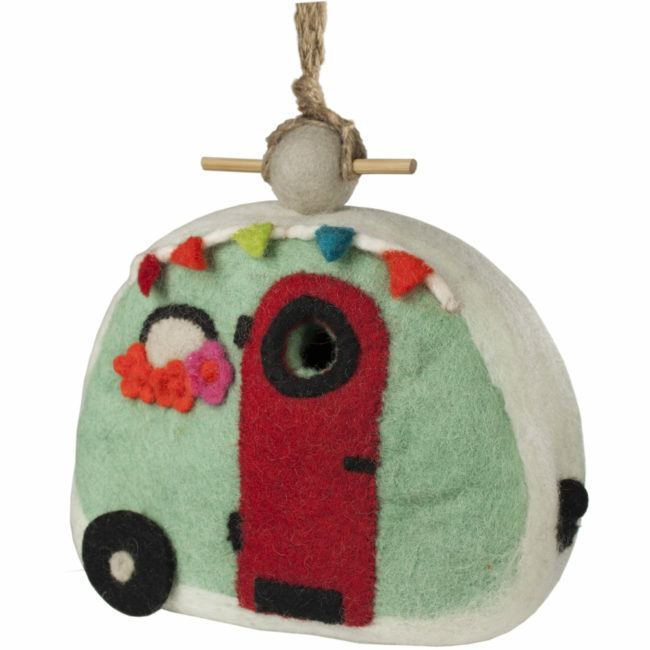 Take your birdhouse on the road with this retro camper! 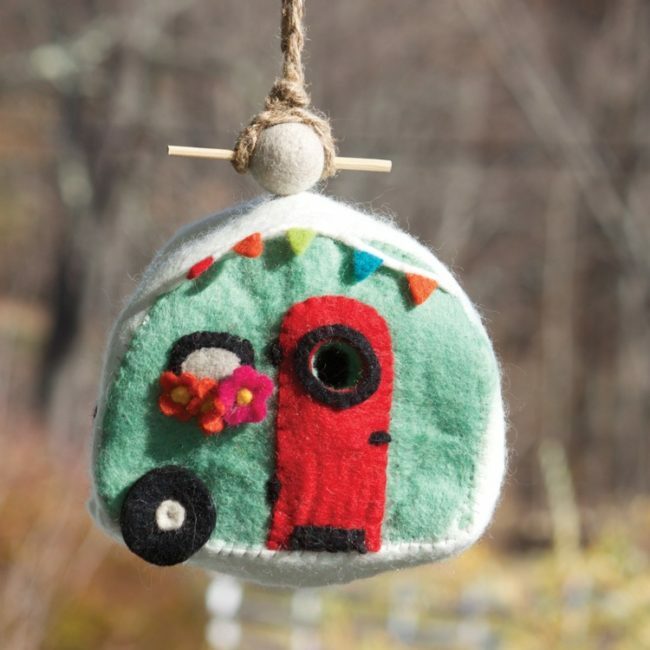 Adorable details like bunting above the door, red front door, flowers outside the window and a license plate will give your backyard birds the cutest house on the block!